All the beauty of Zinc - without the rust! Modern designer style at an affordable price. 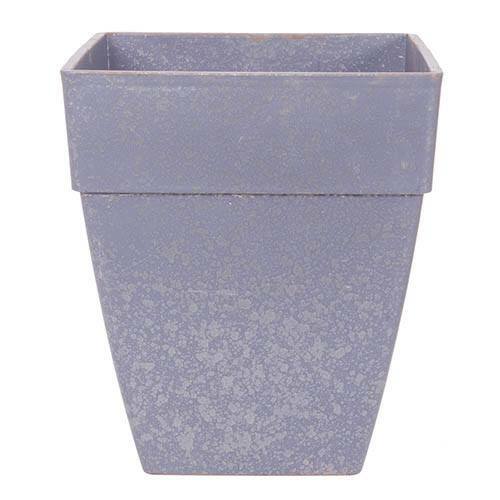 Give your garden a contemporary twist with this industrial, galvanised-effect planter. Tough, resilient and an excellent alternative to stainless steel - it won't rust! Give your prized plants the attention they deserve and highlight their best features with this stylish, lightweight container. Pot size is 36 x 41cm and holds 36L. Modern designer style at an affordable price, this premium planter will give your garden a contemporary twist. Tough, resilient and with an urban chic all of its own, this prefabricated planter has been finished with an industrial, galvanised-effect finish. An excellent alternative to stainless steel and at a fraction of the cost, this planter won't rust! Pot size is 36 x 41cm (14in) and holds 36L.